A knowledge management primer (1): KM as simple as ABC | Agile KM for me… and you? 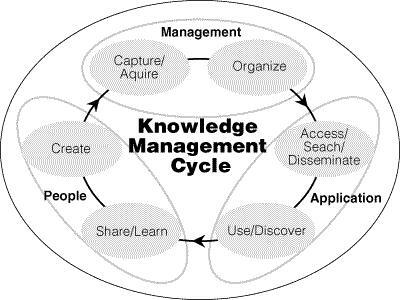 This is a new series of posts, an alphabet primer of knowledge management (KM), to touch upon some of the key concepts, approaches, methods, tools, insights. And because there could have been different alternatives for each letter I’m also introducing the words I had to let go of here. After Action Reviews are one of the closest synonyms – in people’s minds – of what knowledge management is all about. And surely it is one of the sure fire methods to bring learning straight into knowledge management, where it is due. After action reviews help discover insights and – if carried out consistently – progressively instil a spirit of curiosity and openness to change, which is fundamental to KM. Agile – this whole blog is dedicated to agile knowledge management because agility refers not only to the business method of improving and rolling out softwares known as Agile Software Development but also, by extension, an approach of ‘safe failing’, failing fast, often and improving quickly, which again is the whole point of KM. Authenticity – In your efforts to work on KM, authenticity is probably one of the best behavioural cards to play, because rolling out KM, whether a system or an approach or any combination thereof, is not easy and requires people to trust in you. Being authentic shows that you have nothing to hide and that people can believe in what you are saying and suggesting, that it is in their best interest. If you take my definition of KM which is about conversations, documentation and learning, the first and third part have much to do with behaviour (change). Stimulating conversations and gearing them towards learning are both influenced by the current behaviour of the people involved, and are also influencing these same people to share, learn, document, engagement more… Behaviours are also what makes KM work so hard at times, because behaviours take time to change… But sometimes the seed of success is also in the interesting and different behaviours of positive deviants. Blogging – Blogs are seen as places of personal opinions, genuine, authentic sharing of thoughts and engagement. They have found their way in the typical arsenal of options for knowledge managers. And I personally totally see why. Deep down, KM is all about change and change processes, only from the knowledge side of change. It’s about behaviour change, change in how people think, talk and work alone and together, change in how organisations use their knowledge assets to organise themselves and get better and more relevant at what they do, social change that brings vast communities together. And as we know change is hard, so KM is up against a real challenge but also one that is worth it. C is one of the heavyweights of this KM primer. So many C-words could be essential to KM… here’s a few. Conversations – This is the second leg of my definition of KM and one that is central to another definition of KM stating that KM is about ‘increasing the quality and frequency of conversations that get your job done’. Communication – Despite many people misunderstanding and mistaking KM for information management, there is a lot of communication in KM and that’s the reason why they come together in my work. Curation – Part of the documentation is to curate information around us to be able to retrieve it and make it accessible to others at any time. Culture – The hidden part of the iceberg that KM attempts to change. Community (of practice) [CoP] – One of the most spearheaded tools (or approaches) for getting conversations that get your job done. And CoPs are facing challenges. Capitalisation – In the francophone world ‘capitalisation des expériences’ is the closest thing there is to KM. Complexity – What we face in ever more facets of our work and life, and one characteristic that makes KM so relevant in its attempt to connect us all together to better appreciate the intricacy of this complexity. Cycles – The learning cycles that help us look at what we do in different, novel lights. Enough were mentioned already, don’t you think? But in addition, here’s this 2005 document from the World Food Organization ‘the ABC of KM‘ (PDF) that I thought was worth referencing. This entry was posted in Blogging, Change process, Definitions & models and tagged ABC, alphabet, KM primer, primer by Ewen Le Borgne. Bookmark the permalink. What are you getting at re: the KM cycle and ‘maintaining’? You are of course right in adding ‘Assets’ to A and I will add it (mentioning it was edited). As for acronyms such as ‘debrief’ do you have any resources to point me and readers to? Nice post Ewen. Where I might take issue is in the KM cycle. ‘Maintain’ is a significant part of the cycle as is ‘Harvest’ (using knowledge to improve the way you or a process works). In A I would also add Assets (Knowledge) though you might be including it as Intellectual Capital.